Farm to Feet is an independent American brand, owned by Nester Hosiery – the world’s most technologically advanced sock-producer. Employing more than 200 people in its Mount Airy, NC facility, Nester Hosiery operates state-of-the-art knitting, finishing, and packaging equipment to make socks for the world’s toughest critics. 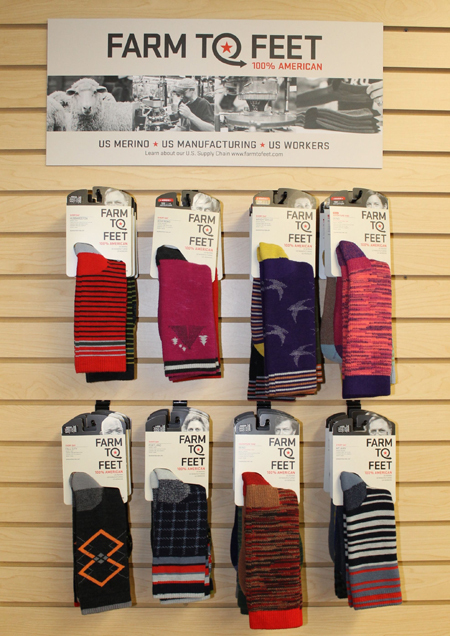 Farm to Feet’s current line includes Adventure Hike, Adventure Sport, Sporting, and Everyday socks. These collections include men’s and women’s styles in multiple colorways and heights. 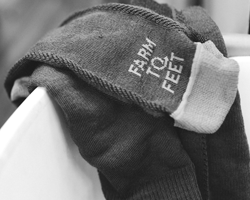 Farm to Feet socks retail between $15 and $30 per pair depending height and style. Cushioning specific to intended purpose. 22.5 micron U.S. merino wool. Farm To Feet goes a step beyond its completely American supply chain to also source all of its packaging and point-of-sale displays domestically – making Farm To Feet 100% American. By having its supply chain completely within the U.S., Farm to Feet can ensure the highest quality of materials and end products, while having as little impact on the environment as possible. 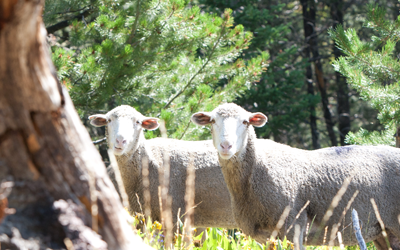 The American sourced merino wool is grown and sheared in the pristine western United States and then processed into yarn within 300 miles of its sustainability-focused manufacturing facility in Mt. Airy, NC. It doesn’t get much better than that to go from the Farm to Feet™. Farm to Feet is the right idea at the right time. People aren’t just hungry for American-made goods, they are hungry for American-made quality. Farm to Feet provides both. To carry Farm to Feet at your retail location in the Southeastern U.S., contact Mel at 703-750-2561. Visit Farm to Feet on the Web at www.FarmtoFeet.com.